Home page Technology What is SMARTePLANS? The three big take-aways here are…. 2 – Even Though Our Average Sales Price over 15 Years of $1.2M is over 4 TIMES the MLS average sales price ($289,982 last year), in the process …..
3 – An average 23% of those $1.2M+ properties we marketed —- sold over list price! Consider that the higher the property price, the smaller the pool of interested and qualified buyers. We know how to market luxury properties to attract and engage buyers. Our marketing has sold homes with less days-on-market and for a higher price than the MLS for over fifteen years!!! 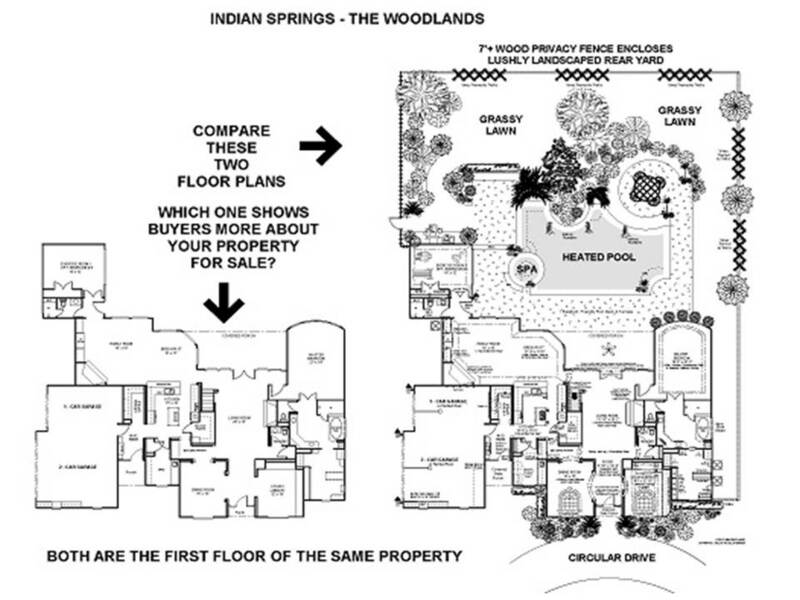 On the left is a “regular” floor plan used by agents and builders. On the right is a SMARTePLAN property plan waiting to have 14 photos and detailed linked Amenities Text embedded inside of it. The completed files upload onto MLS and the photos launch OUT OF the floor plan — so now all the photos and accompanying descriptions make sense. Which One Do you Want Representing Your Property?